THE WALKING DEAD "Forget" Review | Warped Factor - Words in the Key of Geek. This might be the first episode this season that I did not like. I don’t know what it was, it just seemed a bit all over the place. Maybe it was because I didn’t have my morning coffee and it is Monday, so I had a bit of rage anyway, but it just didn’t seem to get started to me. I did get the explanation about the uniforms because in the last episode, I thought it was a bit ridiculous that they just happened to have police uniforms, but Deanna explained that her house used to be a cop’s house, so that is why they have the uniforms. The basic premise of this episode is that everyone is settling in and they need to learn to leave the outside world behind. 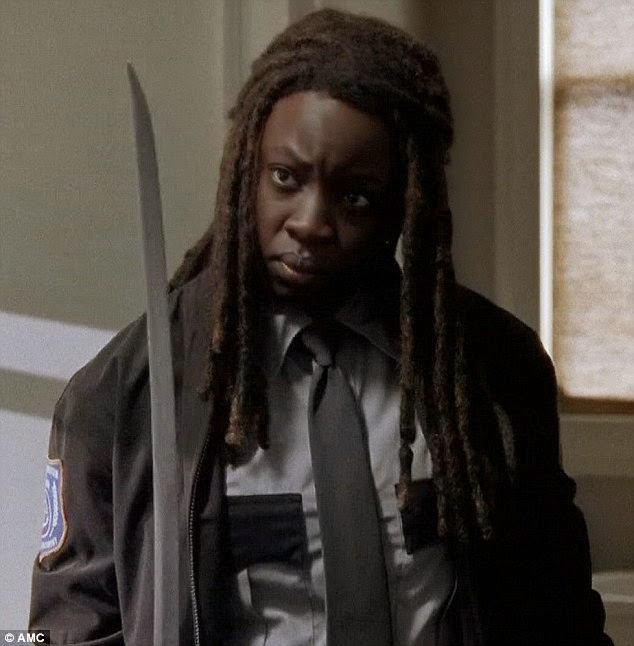 Michonne nails her sword to the wall, Rick gets a stamp on his hand to show that he is now one of the gang. However, in the background, Rick, Carol and Daryl are still planning their coup and want to hide guns outside the walls. This bit irritated me because their plan is to hide them in the same place that Rick hid the last one! Am I the only one that remembers the gun went missing from there last week? 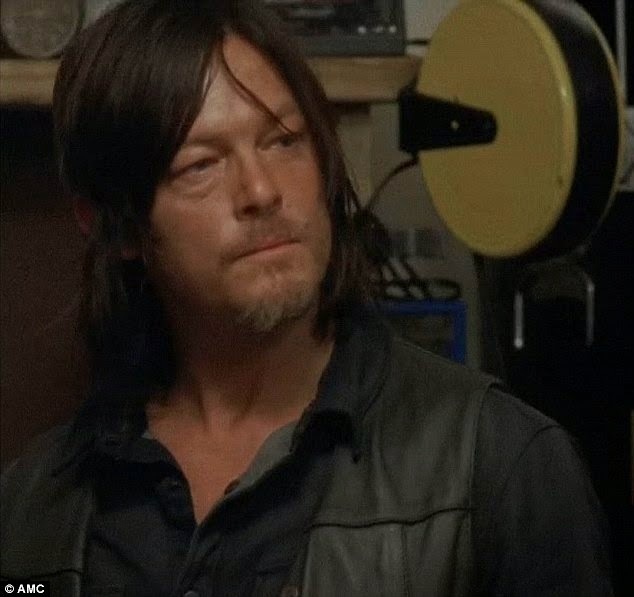 Daryl finally showers, gets changed, makes friends, gets a job and refuses a gun from Rick because he has settled in. That’s about it. 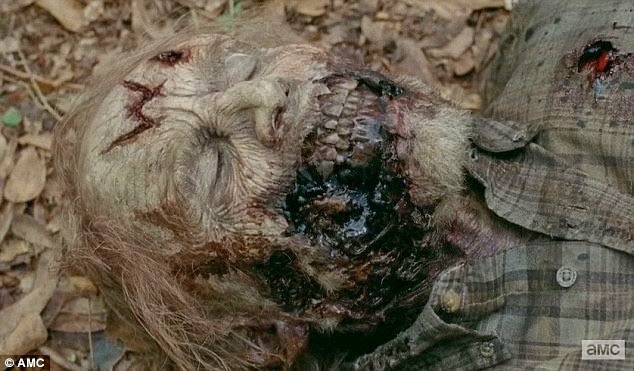 I did feel sorry for the poor horse that got turned into zombie chow, but that horse could have easily out run 6 zombies, so what was that about? 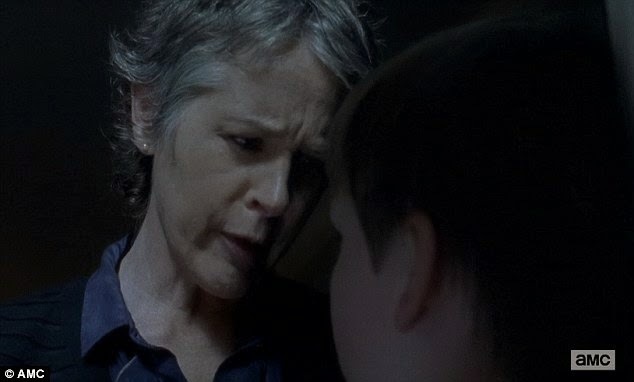 Carol was my favourite in this episode because she seems to be the only one that sees that there could still be danger behind the walls. Plus she is funny in her deceit! I mean she stole guns and chocolate for crying out loud. I do feel sorry for the kid that followed her though. She was scary and if that kid knows any better, he will keep his mouth shut. I still don’t think that Rick is fully converted, even though he had a moment where he was groping the fence with a zombie sniffing behind it. I think he realises that they need to make this their home but they need to make some changes. I really liked her last week but this week she started to irritate me a bit. She was reluctant to put a sniper in the clock tower and she didn’t want people to man the wall? Get a grip! She is living in a fantasy world. Yes, they can let their guard down a bit because the zombies can’t get to them, but what about other pockets of humans? Surely they realise that there is more danger from humans now? Sasha seems to have PTSD, and Abraham was hilarious when he turned up at the party and said he didn’t like it and then changed his mind as soon as he saw the beer. Check out the promo for next week because we seem to be getting some action back! I can’t believe that there are only 3 episodes left!!! PS: What is with the ‘W’ carved in the zombie’s head?